This is a round Barnsdall Super-Gas porcelain sign. This particular Barnsdall Super-Gas sign is predominantly white with red, blue, and yellow text. 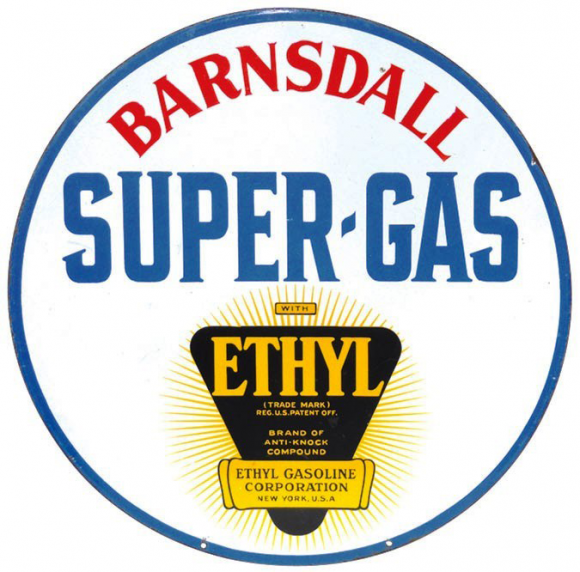 It reads, “Barnsdall Super-Gas With Ethyl (Trade Mark) Reg. US Patent Off. Brand of Anti-Knock Compound, Ethyl Gasoline Corporation, New York, USA”.